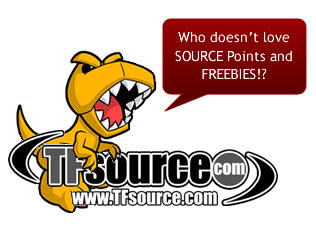 TFSource News – MP-21G, Devastator, Ordin, MMC Feral Rex & More! Unique Toys – Ordin – O-04 Siegfried, Unique Toys – Ordin – O-05 Hagen, MP-21G – Masterpiece G2 Bumblebee, Combiner Wars 2015 – Titan Class – Devastator, MP-21 – Masterpiece Bumblebee – with Spike in Exo-Suit, FansToys FT-04T – Iron Dibots No.1 – Scoria, Warbotron – WB01 – Full Set of 5 Figures + X-Ray Gun Set, Apollyon 2nd Production Run, MP-10 Masterpiece Optimus Prime Reissue, MakeToys Dystopia, Yellow Giant, and Cupola, TFsource TFcon Toronto Exclusive – TowWorld – TW06B – Purple Evila Star, andSDCC 2015 – Exclusive – Devastator – Giftset! MMC Feral Rex Figures, War in Pocket – X13 Mightron, PE-DX05 – Leonidas, KFC – EAVI METAL Phase Four: A – Transistor & HiFi, TFC Toys – OS-01 Ironwill, TFC Toys – OS-02 Medic, New Mastermind Creations and Ocular Max figures including PS-01 Sphinx, Reformatted R-16 Anachus and more, FansToys Limited Edition Green & Blue Scoria and Scoria – Smoke Dino Head Add-on, FansToys FT-03 Quake Wave – Reissue and FT-03T Quake Wave Darker Version. And Visit our sister site theToySource.com for non-transformers collectibles! All this and more in this week’s SourceNews! Perfect Effect Combiner Wars Devastator Upgrade Kits! If you missed out on the Combiner Hunters 3-pack be sure to sign up for the personal assistant to notify you when it’s back instock, just in case there are any cancellations TFS will notify you! FansToys Limited Edition Green & Blue Scoria and Scoria – Smoke Dino Head Add-on! Now up for preorder – Reissue of FT-03 Quake Wave & FT-03T Quake Wave Darker Version! Fans Toys updated us – FT-03T is slightly darker than FT-03. We put the pictures side by side and it is very subtle. Once we have better pictures/details we’ll update everyone here and in our listings! Lots of new Bandai Tamashii Nations Preorders up including: S.H.Figuarts, Robot Spirits & more! Check them out on theToySource and preorder yours today! theToySource – Your Source for Bandai Tamashii! NEW SOURCE REVIEW! Check out Kuma Styles’ video review of O-04 which should be instock soon on TFSource here: http://tfsource.com/uniquetoys/o-04-siegfried/ Just click the play button and enjoy!